Ireland’s economy is having another minor boom. But it has been a hard road. Wind the clock back 10 years, and Ireland’s economy was one of the fastest growing economies in Europe until the crash of 2008. When recession hit, the Irish government was quick enough to step in. It took its punishment and in times of austerity the Irish government was patient and eight years on from the global meltdown of 2008, it has been reaping some harvest from the seeds it sowed in those difficult times. This year, Ireland has had a remarkable recovery and is one of Europe’s fastest growing economies. With a special relationship with the British economy and reliant both on imports and exports from its bigger, neighbouring island, European Business Magazine asked one of Ireland’s leading experts Richard Fitzpatrick (author and journalist) to investigate the effects of Brexit on the Irish economy. When it comes to Brexit, there is unanimity about one thing. It has brought uncertainty to the market – to the UK, who might make history by becoming the first member state to leave the European Union, and to its neighbour, the Republic of Ireland, whose economy has entered unchartered waters as a result of the UK’s potential secession. The UK is Ireland’s largest trading partner. Every week, €1.2bn of trade passes between the two islands. 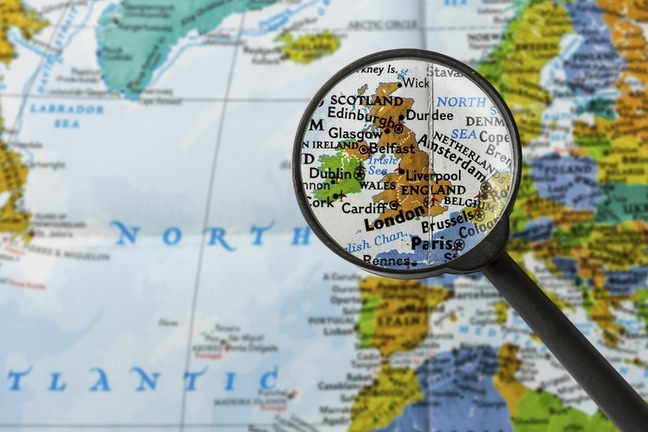 Since the UK’s June 23rd verdict to quit the EU, the Irish economy has felt the pinch, particularly from the plummeting value of sterling to the euro and destabilisation in the markets, for example in the housing sector. In his Summer Economic Statement, Irish Finance Minister Michael Noonan estimated Brexit could cost the Irish economy €2bn over two years. “It’s a process that will take place in the future so nobody knows exactly what will happen, but it seems there will be a lot of negative effects for the Irish economy,” concurs Dr Jens Zimmmermann, a German MP. He concedes, though, there might also be some positive effects. 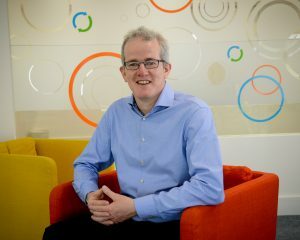 The project management software company Cora Systems, which is one of the stars of the Irish technology industry, has felt the reverberations of Brexit from the frontline. Some 60% of its annual business is with British organisations in industries like healthcare, life sciences and the public sector.“From chatting to fellow CEOs, there are a lot of companies hedging. You’d expect that to happen,” says Philip Martin, CEO, Cora Systems. “If Brexit happens, there will inevitably be a drop in the value of sterling – we’re already seeing that – but it’ll rebound. People fear change, but an organisation – and a country – adapts to the set of circumstances it finds itself in. There’s a lot of hype about Brexit like there was with the Y2K bug at the turn of the millennium. If the UK government proceeds with Brexit, it could possibly negotiate re-entry to the European Union’s common market, similar to the access that Norway enjoys. The “Norway model”, as it’s been dubbed, is not as straightforward as it seems, however. It would come with myriad conditions, says Zimmermann .“The position of all German parties is quite clear. We will offer to the United Kingdom only an option similar to the Norwegian model, but not a Norwegian model without all the obligations.Norway isn’t part of the European Union but to get access to the single market they have to implement 95% of EU regulations. Norway even pays into the EU budget and Norway and Switzerland accept free movement of people. Creighton, who now runs a consultancy company on European affairs, says Kenny and the Irish government has a tough negotiating road ahead. She advocates that the Irish government should establish a ministry devoted to Brexit to deal with its nuances, along the lines of the one established by British Prime Minster Theresa May for Britain. Creighton’s great lament is that Ireland might lose its most important champion on EU affairs. 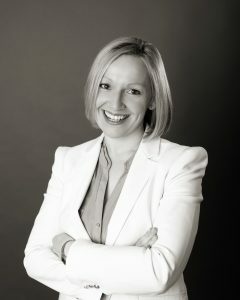 “In the post-Brexit era, if it happened,” she says, “there will be the very important question of ‘How will Ireland fare in the European Union after the UK leaves?’ We’ve to remember that the UK is our strongest ally when it comes to critical issues like taxation, the digital agenda, the completion of the single market. It’s the only large country that is championing all of those economic agendas for Ireland.